Sprouting trays, also known as germinator dishes, are the ideal way to grow cress or other sprouting vegetables. The big advantage is that all sprout roots are constantly hanging in the water. This way they’ll grow evenly and rapidly. A disadvantage is that you need to replace the water in the bowl at least once every day. Whenever you experience mucus you’ll probably have dirty water or to much seeds. 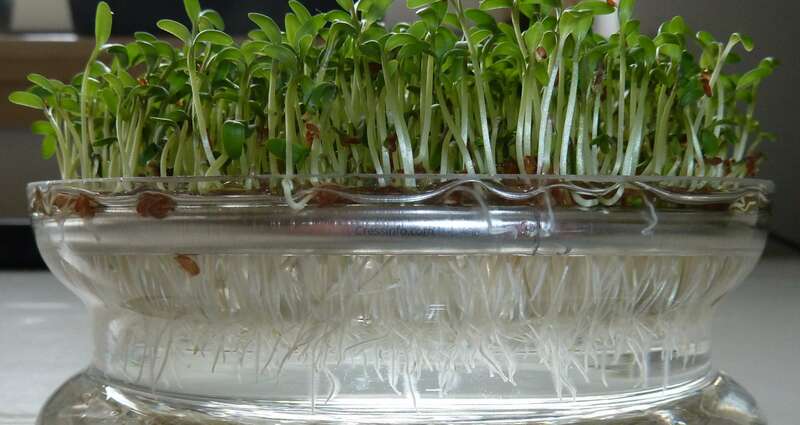 There are various online shops where you can buy these sprouting trays, i.e. amazon. A slightly different system is sprouting with a jar. 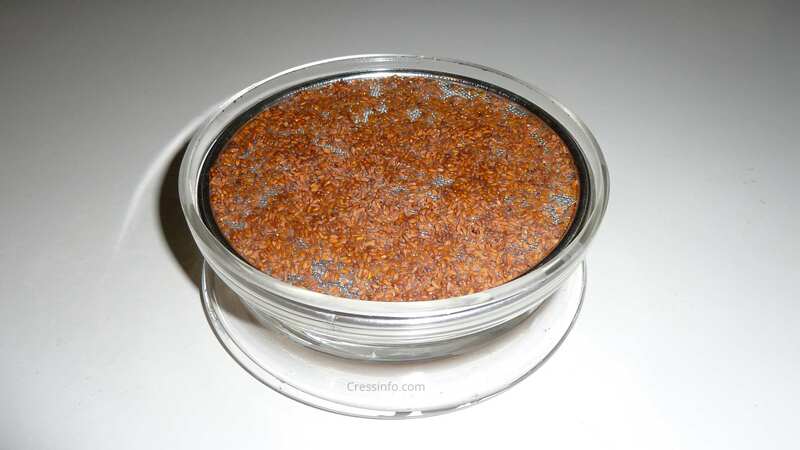 You start by dipping the seeds for 12 hours completely in water. Afterwards you put the pot upside down so the water can drip out. A disadvantage is that the jar needs to be re-watered two times a day. The advantage is that less mucus will form hence the excess water will always flows away. There are also stacked versions available see stacked sprouters. By stacking multiple dishes you can easily grow various sprouts simultaneously, or giving you the ability to have continuous fresh harvest. Moreover, they often contain a ingenious irrigation system, which gives all your germ trays at once water. These towers are again available in two flavors, stone and plastic.